The Baby Hamper Company's range of 'Not your standard baby hampers' contain really bold, modern and cool products for newborn babies. 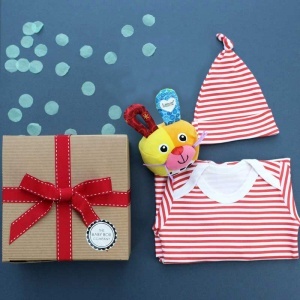 Filled with bright baby clothes, accessories and toys; they are a fantastic unique gift idea. Buy a pre-selected hamper for your loved ones, and they will really thank you for it! 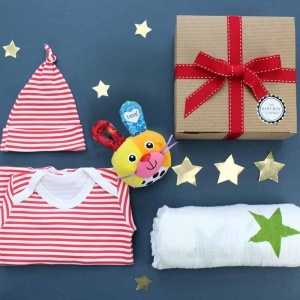 The products in these boxes have been expertly chosen as items that new mums really want and desire. Order yours today with UK standard and Express delivery, also available with European and Worldwide delivery options, and be sure to put a smile on your new parents faces!